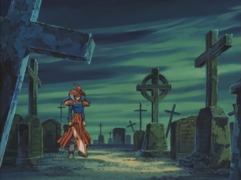 The Graveyard (墓（ぼ）地（ち） Bochi), abbreviated as GY in card texts from Starter Deck: Link Strike onwards, sometimes translated as Cemetery, and sometimes (unofficially) referred to as the Graveyard Zone or simply Grave, is the name for a player's discard pile. 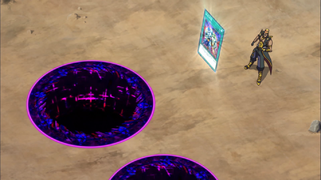 Monster Cards that are destroyed or sacrificed, Spell and Trap Cards whose effects have been used, and cards discarded from a player's hand are placed here. 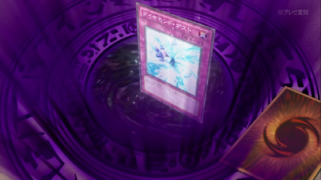 Cards in the Graveyard typically cannot be used, but can be recovered by using cards such as "Monster Reborn" or "Magician of Faith." The Graveyard is placed directly above the Deck Zone. When the Pendulum Zones were introduced, the Graveyard was shifted to directly above (or above and to the right of) the right Pendulum Zone. 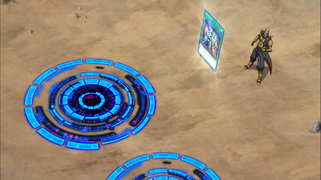 However, with the introduction of the Extra Monster Zones, the Pendulum Zones were moved into the Spell & Trap Zones and the Graveyard returned to its original position. The contents of either player's Graveyards are public knowledge, unless a card like "Question" is used. When a player looks through any Graveyards, they may neither shuffle its contents, nor re-arrange the order in which the cards were placed there. 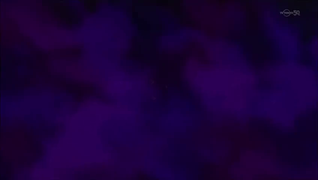 In video games, when a card is activated or selected for a card effect while in the Graveyard, it immediately moves to the top of the Graveyard; this only exists for the purposes of clarification within those video games, and this game mechanic is not used in the OCG or TCG. 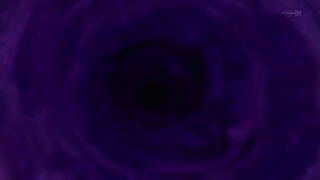 In the anime, cards that return from the Graveyard are sometimes depicted as coming out of a portal. Pictured is "Diamond Dust" about to resolve. Pictured is "Gouki Re-Match" activating. 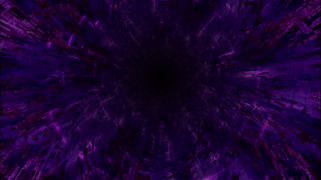 Same as previous image, but the portals are in the middle of opening.